Intermittent fasting has been the topic of many recent books and has been studied in animals and in humans. Basically, intermittent fasting is a broad term that focuses on when a person eats not the number of calories or types of food. It always includes a period of voluntary abstinence from food and its proponents approach the subject in different ways. The most popular approach is the 16/8 which requires fasting for 16 hours and an eight hour time slot when you can eat anything at any time. Another version, alternate day fasting, alternates 24 hour periods of fasting with days of eating freely. The 5:2 approach limits fasting to just two days a week, while the Warrior Diet follows a 20-hour fast with one large meal consumed at night. In all of these programs the stomach gets a period of regular rest during fasting. Intermittent fasting, proponents say, helps most people lose weight and maintain that loss over a long period of time, combats certain diseases like diabetes and heart disease, allows one to sleep longer and better, and slows down the aging process. When Mrs. White advocated two meals a day, was she advocating what we call Intermittent Fasting today? Her plan allows for a daily/nightly fast of about 16-18 hours but with nothing in between or after those two meals. Let’s look at what Mrs. White said about two meals a day. Our plain food, eaten twice a day, is enjoyed with a keen relish. We have no meat, cake, or any rich food upon our table. We use no lard, but in its place, milk, cream, and some butter. We have our food prepared with but little salt, and have dispensed with spices of all kinds. We breakfast at seven, and take our dinner at one…I have within eight months lost twenty-five pound of flesh. I am better without it. I have more strength than I have realized for years. 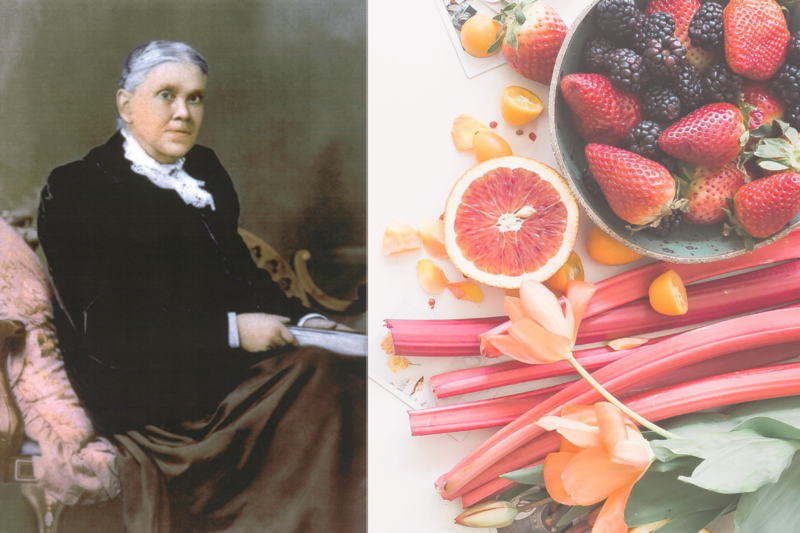 On Friday evening, June 5, 1863, Ellen White had her first major vision on health. This was 15 days after the Adventist Church was officially organized, Thursday, May 21, 1863. The Whites were visiting Bro. A. Hilliard’s plain little farmhouse by the side of the road in Otsego, Michigan, about 30 miles northeast of Battle Creek. The group had just opened the Sabbath with sundown worship. Near the end of their prayer session, Ellen placed her hands on James and pleaded for his health. All at once her thrilling exclamation, “Glory! Glory! Glory!” announced another vision. For forty-five minutes she said nothing and then she took her characteristic deep breaths, indicating that her vision was over. That vision was the nucleus of the Adventist health message. During that year and the next she wrote down her recollections in the little book Spiritual Gifts, including the statement above about two meals a day. The little company of Adventists believers in 1864 was very sick and needed her health message. Joseph Bates was probably the only healthy church pioneer. Almost every week there was an obituary showing that someone — child, worker, member — had passed away prematurely. When Mrs. White shared her vision with the Church both leaders and laymen embraced this new lifestyle called “health reform” which included a vegetarian plant-based diet, freedom from caffeine, alcohol, and tobacco, plain food, and the two meal plan. The health of the workers and the members immediately began to improve. In 1864 the germ theory was still in the future. There were no x-rays, antibiotics, or antihistamines. Diabetes and heart diseases were not a concern back then. Members noticed that the new dietary and health reform freed them from headaches and dyspepsia (indigestion) and gave them new life. Slowly, over the years, the interest in two meals a day in the Adventist Church has greatly diminished. Two recent studies on the link between the impact of meals and their timing and frequency to weight gain have now been conducted by Dr. Hana Kahleova. These studies validate the two meal a day concept that was given to Mrs. White. In her first study Dr. Kahleova collaborated with colleagues from her own institution, Physicians Committee for Responsible Medicine, as well as from the Institute for Clinical and Experimental Medicine and the Institute of Endocrinology, based in Prague, Czech Republic. This was a small cross-over study but it showed that BMI (weight gain) increased as meals increased from two to six. Her newest study results were published in The Journal of Nutrition, and they were co-written by Dr. Gary Fraser, from Loma Linda University School of Public Health (LLUSPH). Dr. Kahleova presented the findings at the International Conference on Nutrition in Medicine, in Washington, D.C., on July 29, 2017. Led by Dr. Kahleova, the study was large and comprehensive and included 50,660 adult individuals from the Adventist Health Study 2, all aged 30 or older. The focus was on the possible link between when and how often people eat, and their body mass index (BMI). The participants had various body types and sizes and their eating habits and health outcomes were monitored for an average period of seven years. At the outset, the participants were asked to fill in a questionnaire detailing their medical history, eating practices, physical activity, and other relevant information. As the study went on, participants filled in follow-up forms declaring any major health events. The final follow-up questionnaire reported how often participants had normally taken their meals, and at what times of the day. The study had several main findings. In the first place, it showed that people who regularly ate only two meals per day had a decrease in BMI. (They lost more weight. Notice in Mrs. White’s statement above that she lost 25 pounds in eight months when she switched to the two meal a day plan.) Conversely, those who ate more than three meals a day increased their BMI, and the more meals they ate, including snacks, the greater the weight gain. The researchers also found that people who had breakfast regularly tended to lose more weight than people who chose to skip breakfast. More importantly, the participants whose largest meal of the day was breakfast experienced a large BMI decrease, in contrast with those who made their last meal their largest meal. Additionally, the researchers found that skipping dinner altogether and having a long, 18 or 19-hour, overnight fast contributed to weight loss. Other good eating practices, the researchers observed, include leaving five or six hours between breakfast and lunch, and abstaining from snacks throughout the day. Sounds a lot like Mrs. White’s health advice! It’s amazing that in 1863 Mrs. White could actually give the remedy for diabetes and other diseases that were almost unknown then. Intermittent fasting (many which advocate coffee drinking, indulgence in unhealthful foods, and intemperate practices) is being recommended by many health professionals as the newest treatment for diabetes and other diseases. In 2015, 30.3 million Americans, or 9.4% of the population, had diabetes (422 million worldwide). The percentage of Americans age 65 and older who have diabetes remains at epidemic levels, at 25.2%, or 12.0 million seniors. In 2015, 84.1 million Americans age 18 and older had prediabetes. Diabetes remains the seventh leading cause of death in the United States in 2015 and these statistics are increasing at an alarming rate each year. The first thing the doctors will tell a newly diagnosed diabetic is to lose weight. But weight loss is a great struggle for most. Most people who begin the two meal a day plan lose a significant amount of weight and maintain this loss. A recently published study in Great Britain showed that all the participants who lost 30 pounds or more saw their diabetes go into remission. For those who would like to begin a two meal a day program (Intermittent Fasting, Adventist style) certain principles must be followed. You need to decide when you will eat your two meals and stick religiously with the time. Write it down and plan around these two times. Notice Mrs. White and her family ate at 7:00 a.m. and 1:00 p.m. regularly. If that time is not good for you, select the best times and don’t deviate. This was pretty much her time for more than 40 years. The earlier in the day the better. Regularity in eating is of vital importance. There should be a specified time for each meal. At this time, let everyone eat what the system requires, and then take nothing more until the next meal. There are many who eat when the system needs no food, at irregular intervals, and between meals, because they have not sufficient strength of will to resist inclination. When traveling, some are constantly nibbling if anything eatable is within their reach. This is very injurious. If travelers would eat regularly of food that is simple and nutritious, they would not feel so great weariness, nor suffer so much from sickness. In no case should the meals be irregular. If dinner is eaten an hour or two before the usual time, the stomach is unprepared for the new burden; for it has not yet disposed of the food eaten at the previous meal, and has not vital force for new work. Thus the system is overtaxed. Neither should the meals be delayed one or two hours, to suit circumstances, or in order that a certain amount of work may be accomplished. The stomach calls for food at the time it is accustomed to receive it. If that time is delayed, the vitality of the system decreases, and finally reaches so low an ebb that the appetite is entirely gone. If food is then taken, the stomach is unable to properly care for it. The food cannot be converted into good blood. If all would eat at regular periods, not tasting anything between meals, they would be ready for their meals, and would find a pleasure in eating that would repay them for their effort. There should be at least five hours between the first meal and the second meal. After the regular meal is eaten, the stomach should be allowed to rest for five hours. Not a particle of food should be introduced into the stomach till the next meal. In this interval the stomach will perform its work, and will then be in a condition to receive more food. In many cases the faintness that leads to a desire for food is felt because the digestive organs have been too severely taxed during the day. After disposing of one meal, the digestive organs need rest. At least five or six hours should intervene between the meals; and most persons who give the plan a trial, will find that two meals a day are better than three. No snacking between meals. Despite what you hear, there are no healthy snacks. “Healthy snacks” is an oxymoron. Big Pharma, unscrupulous health professionals, and the food industries push snacking because it puts more money in their pockets. Put a period after the second meal. Doxology. Go brush your teeth. When I tried six to eight mini meals, which was the recommendation for diabetics, all I got was indigestion, heartburn, and weight gain. I am astonished to learn that, after all the light that has been given in this place, many of you eat between meals! You should never let a morsel pass your lips between your regular meals. Eat what you ought, but eat it at one meal, and then wait until the next. Children are generally untaught in regard to the importance of when, how, and what they should eat. They are permitted to indulge their tastes freely, to eat at all hours, to help themselves to fruit when it tempts their eyes, and this, with the pie, cake, bread and butter, and sweetmeats eaten almost constantly, makes them gormands and dyspeptics. The digestive organs, like a mill which is continually kept running, become enfeebled, vital force is called from the brain to aid the stomach in its overwork, and thus the mental powers are weakened. The unnatural stimulation and wear of the vital forces make them nervous, impatient of restraint, self-willed, and irritable. It is quite a common custom with people of the world to eat three times a day, besides eating at irregular intervals between meals; and the last meal is generally the most hearty, and is often taken just before retiring. This is reversing the natural order; a hearty meal should never be taken so late in the day. Should these persons change their practice, and eat but two meals a day, and nothing between meals, not even an apple, a nut, or any kind of fruit, the result would be seen in a good appetite and greatly improved health. Three meals a day and nothing between meals — not even an apple — should be the utmost limit of indulgence. Those who go further violate nature’s laws and will suffer the penalty. When Should I Eat My Last Meal? Let the stomach rest at night. Its work for the day should be finished before you go to bed. The need for a good breakfast has been accepted but early suppers (the last meal of the day) have not been accepted so readily. The last meal should be four to five hours before your bedtime. The new research on intermittent fasting shows that the daily overnight fast of 15-19 hours is what restores the blood sugar to normal. Mrs. White often said that she was shown that short fasts were very beneficial. Food remaining in the stomach during the night causes the stomach to work all night and forfeit its needed rest. For persons of sedentary habits, late suppers are particularly harmful. With them the disturbance created is often the beginning of disease that ends in death. But with many, the poor, tired stomach may complain of weariness in vain. More food is forced upon it, which sets the digestive organs in motion, again to perform the same round of labor through the sleeping hours. The sleep of such is generally disturbed with unpleasant dreams, and in the morning they awake unrefreshed. There is a sense of languor and loss of appetite. A lack of energy is felt through the entire system. In a short time the digestive organs are worn out, for they have had no time to rest. There should not be a great variety of food at any meal and the food should not be too rich. Many of the products we purchase on the market are very complex with many ingredients. If the packaged product has more than three ingredients it should be avoided. What’s wrong with just a tomato sliced on your plate? Or corn on the cob? Or brown rice covered with black beans? Delicious and simple. Eat whole foods whole. The stomach, when we lie down to rest, should have its work all done, that it may enjoy rest, as well as other portions of the body. The work of digestion should not be carried on through any period of the sleeping hours. After the stomach, which has been overtaxed, has performed its task, it becomes exhausted, which causes faintness. Here many are deceived, and think that it is the want of food which produces such feelings, and without giving the stomach time to rest, they take more food, which for the time removes the faintness. And the more the appetite is indulged, the more will be its clamors for gratification....The remedy such require, is to eat less frequently and less liberally, and be satisfied with plain, simple food, eating twice, or, at most, three times a day. The stomach must have its regular periods for labor and rest; hence eating irregularly and between meals, is a most pernicious violation of the laws of health. With regular habits, and proper food, the stomach will gradually recover. Let water be your helper. Drink two glasses upon arising (warm water is best) which acts as an internal cleaner. From six to eight glasses of water should be consumed all during the day in between the two meals. When I get hungry, a glass of warm water gives me a sense of fullness. Every chemical and physical function of life is carried out in a water medium. A good brain is mostly water (85%). A person may mistake thirst for hunger. Americans drink more soda pop than water. Avoid sodas because they contain at least 10 teaspoons of sugar and other chemicals and actually increase thirst. Would you wash your dishes in soda? Why wash your stomach with such a sticky fluid? Keep drinking pure water all day long. Women in the Adventist Health Study who drank the most water were at the lowest risk of a fatal heart attack. Dr. Chan discovered that participants of the Adventist Health Study who drank the most non-water beverages, such as fruit juice, soda, coffee, and tea, increased their risk of a fatal heart attack two-and-a- half times and men by 50 percent. Water is the only liquid that allows your stomach to rest. The other liquids need to be digested to some extent. Let exercise be your friend. Blood sugar is used by large muscles of the legs after a meal and is quite beneficial to the digestion. …a short walk after a meal, with the head erect and the shoulders back, exercising moderately, is a great benefit. The diseased stomach will find relief by exercise…if they would eat temperately and engage in healthful exercise with a cheerful spirit, they regain health and save time and money. Exercise will aid the work of digestion. To walk out after a meal, hold the head erect, put back the shoulders, and exercise moderately, will be a great benefit. The mind will be diverted from self to the beauties of nature. The less the attention is called to the stomach after a meal, the better. Exercise is important to digestion, and to a healthy condition of body and mind. You need physical exercise…Healthy, active exercise is what you need. This will invigorate the mind. Neither study nor violent exercise should be engaged in immediately after a full meal. For a short time I tried real hard to follow his advice but those mini meals gave me heartburn and indigestion and I kept gaining weight. I purchased a notebook to keep an accurate record of my blood sugar and weight, and I learned how to prick my finger and use the blood sugar monitor. After a lot of prayer I went to the Spirit of Prophecy and the statements about two meals a day caught my attention. In February 2016, I weighed 196 pounds. I set up my eating schedule so that I would eat my breakfast at ten o'clock in the morning and my last meal at five o'clock. Whenever I got hungry I drank a glass of water. I started losing weight. By July 2017 I had lost 30 pounds. My children were a bit concerned because they said I was looking frail so I intentionally tried to gain back five pounds. I was never put on any diabetes medication. Although I was born a Seventh-day Adventist, I did not become a vegetarian until I came into the Health and Temperance Department in 1983. I read the book Ministry of Healing and I was convinced that a plant-based diet was the best for me and that I had to be an example in my work. I prayed a lot but the Lord strengthened me to give up all meat. I told people that I didn’t eat anything that moved or used to move. I always had a sweet tooth and now that I was following Mrs. White's counsel on the two meals a day my attention was directed to another Spirit of Prophecy quote. I decided to also eliminate table sugar and added sugar from my diet. (“...from the light given me, sugar, when largely used, is more injurious than meat.”) The sugar challenge was harder for me than adopting the two meals a day, but with much prayer and struggle I feel the Lord gave me a victory. I don’t need to have a dessert after my meals. I have learned to love blueberries, dates, grapes, and other fruits and they satisfy my sweet tooth. Once or twice a month I may have a slice of fruit pie but I don’t crave sweets (especially chocolate) like I used to. My doctor says I will always have diabetes but it is in remission. At each office visit he asks me a lot of questions about Mrs. White and health in the Bible. “I can’t believe that something as simple as two meals a day and cutting out sugar can produce such good results,” he tells me. “It is counterintuitive. I certainly believe that three good meals and several snacks in between is the way to go to keep your blood sugar from spiking, but keep doing whatever you are doing. It’s working for you.” And it will work for anybody who has the determination to try it. As I approach my 80th birthday, by God’s grace and power, I plan to keep on with my new lifestyle. Once I got used to it, it is easy to maintain and really not difficult to continue for the rest of my life. It saves me time in the kitchen preparing food, and is cheaper. I am thankful that we have several good studies now which validate the full reform Adventist lifestyle. If Seventh-day Adventists practiced what they professed to believe, if they were sincere health reformers, they would indeed be a spectacle to the world, to angels, and to men. …always bear in mind that if you would give it a trial, you would find that two meals are better than three. Ellen G. White, Spiritual Gifts, 1864, Vol. 4, p. 154. E. G. White, Story of our Health Message, p.76. DeWitt S. Williams, EdD., MPH, MA, CHES, gave 46 years of denominational service lastly serving as Director of Health Ministries, North American Division. He traveled to over 100 countries and all 50 states lecturing about the importance of good health. He has been a pastor and missionary, and has written or co-authored nine books.